An international beers connoisseur Michael Jackson (accidental coincidence of names) once said: “If you see a beer, do it a favour and drink it. Beer isn’t eternal.” This advice, however, doesn’t concern exceptional, known world-wide beers of Belgian Trappists. The best brands with the logo of these famous monks gain its full taste and aroma after 15 years of holding. The beginnings of Belgian brewing date to the times of first crusade to the Holy Land (1095). At that time church let the French and Flemish abbeys to start beer production. The water which was at that time available was so dirt and polluted that drinking it could cause the spreading of illnesses. So, instead of water people drank beer or wine. In the next 700 years technologies and beer formulas were refined. But it was brought to perfection only by monks. Belgian Trappists to this day brew in a brewery adjoining a cloister one of the best beers in the world. Trappists, since 1664, are a fraction of Cistercians. At first, their residence was a Norman monastery La Trappe, located near to Soligny. The really good beer was already brewed in monastery in 1685. And in time great Trappist breweries were opened in France and the rest of Europe. During the French Revolution monks had to run away from France. Many of them found a refuge in the territory of today’s Belgium. At the beginning, monks brewed beer for own consumption. The first brewery which was selling beer to settlements dwellers was created in Westmalle in 1836. Westmalle beer is described as “dark and sweet”, it had so many supporters that in the 1st June 1861, monks started a large-scale sale. Over time, at Belgium territory more and more Trapists breweries were created. Their beer was so highly valued and so popular among cognoscenti that counterfeits began to appear. 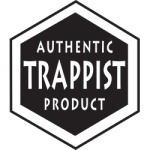 In 1997 Trappists formed an International Trappist Association (ITA) to protect quality and trademark of monastic products. In accordance with the Charter of Association all profits gained from sales are voted to maintenance of monasteries and charity events. Only seven monastic breweries in Europe (six in Belgium and one in Netherlands) are allowed to produce beers with Trappists logo. Brewery located in Limburg. It is the smallest of all Trappists breweries. It produces beers: Achel Blonde 5% i 8% ABV (*); Achel Brune 5% i 8% ABV (*); Achel Extra Blonde and Brune 9.5% ABV (*). It is the famous beer from Walloon Hainaut. Brewery, which was established in 1863, is located on the territory of Scourmont monastery. It is a typical strong, Belgium beer, which can mature in the cold to five years. “Chimay Bleue” which is exceptionally valued can mature even 15 years. Chimay beers – Rouge (Red) 7% ABV (*); Bleue (Blue) 9% ABV (*); Blanche (White) 8% ABV (*); Doree (Golden) 4.8% ABV (*). The monastery and brewery are located in Gaume in the province of Luxembourg. Trapists produce unique, highly valued beer described as “amber beer”. The beer is amazing in its taste, “turbid” in colour, and has high, fluffy foam. The beer gains its full flavour after few years of mature. An abbey lies near the city of the same name. The tradition of brewing this beer dates 1595. Rochefort beer can be stored to five years. Rochefort beers – Rochefort 6 – 7.5% ABV (*); Rochefort 8 – 9.2% ABV (*); Rochefort 10 – 11.3% ABV (*). An abbey was created in 1794, and is located in the city of the same name. Trapists have been brewing here beers incessantly since 22nd April 1836. An abbey – located in the town of the same name in east Flanders – produces the most luxurious and highly valued from all Belgian Trappists beers. In the process of brewing only five monks are present. The brewery has limited ability of production and releases only 60 000 cases with 24 beers in each, annually. Due to huge popularity of Westvelerten, monks consistently limit its distribution. The beer can be bought only on the monastery grounds and in the cafe adjoining a cloister. But these are not all impediments because if you want to get Westvleteren, you should be patient, as it is ordered only by telephone (the line is always busy). Monks allow buying maximally two cases of tipple once for 60 days. To every sold case there is a monks’ request added to not resell the beer to third party. So, if you buy Westvleteren on the Internet you support a “black market”. In 2005 beer “Westvleteren 12” was considered the best beer in the world. The brewery produces three kinds of beers: Westvleteren Blonde (green bottle cap) 5.8% ABV (*); Westvleteren 8 (blue bottle cap) 8% ABV (*) and the legendary Westvleteren 12 (yellow bottle cap) 10.2% ABV (*).